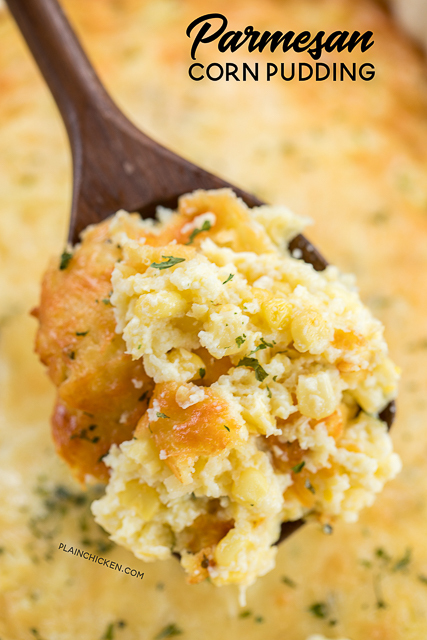 Parmesan Corn Pudding - Frozen corn, sugar, flour, cornmeal, butter, milk, eggs and Parmesan cheese. Can make ahead and refrigerate or freeze for later. 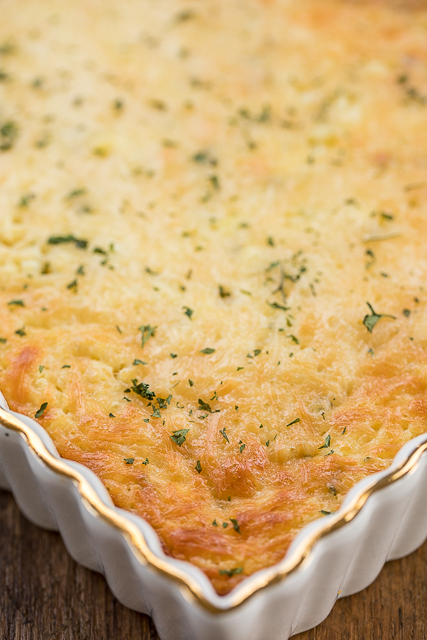 We are in love with this cheesy Parmesan Corn Pudding. It is a great side dish for just about everything. It is super easy to make and can even been frozen for later. I usually divide the mixture between two pans. I bake one and freeze the other one for a quick side dish later. This recipe uses two bags of frozen corn. I like to use white silver queen corn, but any frozen corn will work fine. You could also use an equivalent amount of fresh corn kernels if you have them. This time of year, I always just use frozen corn. It works great in this recipe. 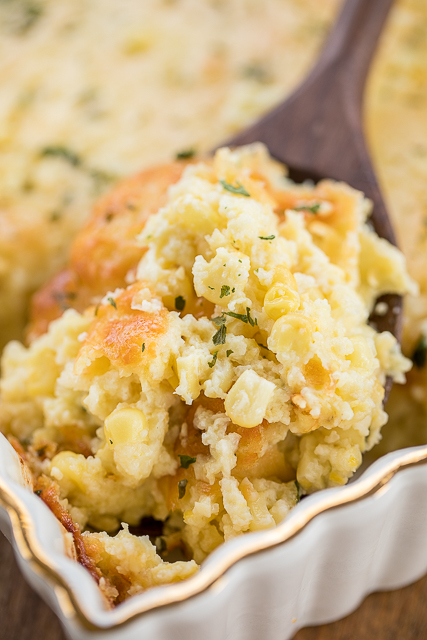 Overall, we LOVE this Parmesan Corn Pudding. It has quickly become a favorite in our house. I love how easy it is to prepare and that you can freeze it for later!! Place 1 package of corn in a food processor. Add sugar, flour, cornmeal, salt, butter, milk and eggs. Process until smooth. Stir in remaining package of corn. Pour mixture into prepared pan. Sprinkle with Parmesan cheese. Bake, uncovered, for 40 to 45 minutes. Is it necessary to add sugar?? think I could use cornbread mix instead of cornmeal?? Think I could substitute cornbread mix for the cornmeal or will it be to sweet from added sugar?